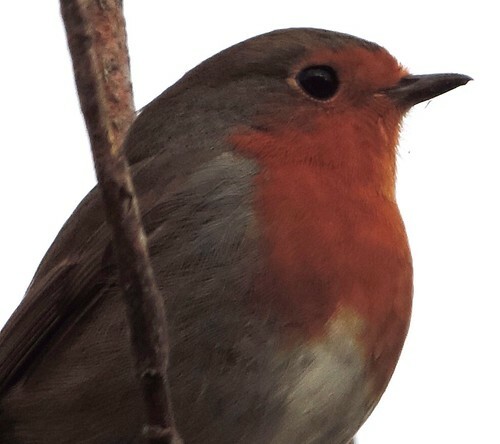 This robin isn’t any robin. This is THE robin whose territory includes the bush which grows right in front of the space where I park my car at home. I’ve often tried to capture a photo of him, but he is camera shy and disappears too quickly for me. But this time…..oh, isn’t he wonderful?! Every one of us is a one-off. Every one of us is unique. My local robin reminds me of that. Now THAT pic is truly impressive…well done!